Sir Gawain and the Green Knight, Pearl, and Sir Orfeo are masterpieces of a remote and exotic age — the age of chivalry and wizards, knights and holy quests. 14th century medieval tales, translated by J. R. R. Tolkien. 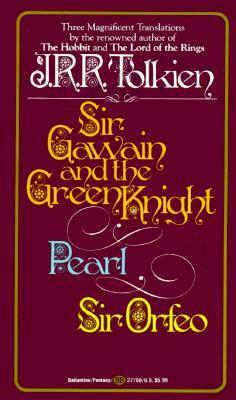 Sir Gawain and the Green Knight, Pearl, and Sir Orfeo are masterpieces of a remote and exotic age — the age of chivalry and wizards, knights and holy quests. Yet it is only in the unique artistry and imagination of J.R.R. Tolkien that the language, romance, and power of these great stories comes to life for modern readers, in this masterful and compelling new translation. Medieval tales dating to the 14th century, translated by J. R. R. Tolkien.